Multimedia age has changed the role of teachers. The need for audiovisual aids to support e-learning, mobile learning, distance and blended learning have reformed the role of educators, who are now becoming producers to enrich their teaching with mediums like podcasts, videos, animations, interactive presentations.. etc. Educational Video Production: Why To Use Video Technology In Education? Video Technology has been proven to be a very powerful tool in motivating, engaging and instructing within the educational concept. Because of the advantages of transformability and transferability that video provides, has open the horizons of teaching and learning. Video can enhance the learning experience by showing places and phenomena that otherwise could not be seen, which adds "experiential value" (Koumi, 2006) in students understanding. Moreover video allows demonstration of procedural activities in detail when used for instruction and allows personal improvement as it can be a valuable tool for self-reflection. 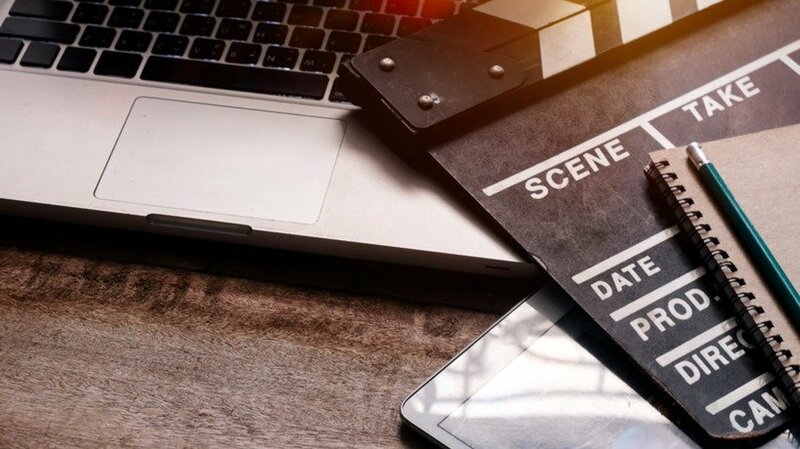 For all the above reasons, educators now are assigned with the role of the producer in order to create powerful video resources for their students. However, this is a big challenge for teachers. They have to familiarise themselves with the video technology, editing software and the demanding process of video production (Petrosino & Koehler, 2007). Thankfully, the evolution of video technology has made easier and cheaper the access to decent video equipment. Furthermore, even though the editing software could be frustrating and confusing in the begging, once you start playing with it and learn the basic functions, you will realise that the same principles apply in any software and that it allows creativity and innovation. Plan your Video: 5 Steps to Make it Happen! Talking about video production, Steve (1996) states that the planning part or the "pre-production process is the preparation for all the steps required to execute the production and post-production of a video film/multimedia project". It is essential for teachers to organize and plan the educational video to the last detail. The content of the video which is directly connected with the curricula is the start point of your idea. How can the content can be visualised? What are the key points? Moreover, the educational objectives should be also a guideline to structure the video. The educational objectives will determine where you should emphasize and will keep you focused not to lose the educational aspect of your video. How are you going to use the video? Is it going to be shown in the class? Are you going to make it available on the web? Is it going to be a part of a series, clips or video podcasts? These are some questions regarding the context of use that you have to think before the production in order to structure your video in a way to ensure that the educational objectives will be achieved. The visual format refers to the way that the educational content is delivered. Is going to be a presentation? dramatisation? interview? demonstration? Think about the content and what is the most appropriate way to deliver it. The more detail in your planning, the more easy the production. Write the script of your video and highlight the most important points that have to be raised. Story-boarding gives you the opportunity to visualize your thinking. Also, a storyboard act as a guide not only for the producer but also for all the participants such as actors, presenters and voiceovers, giving them the storyline of your video which engages them more within the process. Hands on camera! The most exciting part starts! Film! Make sure you re-shoot any scenes that you have a doubt that something was missing or it was delivered differently of what you had imagined. It is always better to have more footage than less! When filming is finished, it is time to put it all together! Pick a video-editing software of your choice and you will soon realize how creative you can be! Add music and graphics! Remember not to get too excited with the features of transitions and graphics that are available! Many graphics and different types of transitions can be tiring for the eyes. Keep it simple! You will be amazed of what you can do! Bates, A.W. (1984). Broadcasting in Education : An Evaluation. London: Constable. Heinich, R., Molenda, M. & Russell, D. J. (1982). Instructional media and the new technologies of instruction. New York; Chichester: Wiley. Petrosino, A. J. and Koehler, M. J. (2007). Teachers as designers: Pre- and in-service teachers authoring of anchor video as a means to professional development. In Goldman, R., Pea, R., Barron, B., & Derry, S. (Eds.) Video research in the learning sciences. Mahwah, NJ: Erlbaum. Steve, R. C. (1996). Pre-Production Planning for Video, Film, and Multimedia. Boston: Focal Press.